Plastic shopping bags banned in Sri Lanka – Royal Times of Nigeria. Senaratne said that the plan to ban the use of plastic bags, is as a result of a proposal by President Maithripala Sirisena who is also the minister of environment. He said the cabinet agreed to ban the use of polythene and Styrofoam which is used by local shops to wrap lunch and polythene shopping bags which is widely used in supermarkets and shops with immediate effect. The CEA added that burning of plastic bags in open areas was also prohibited. “Shopping bags will be replaced with reusable cloth bags under the new law,’’ the CEA said. 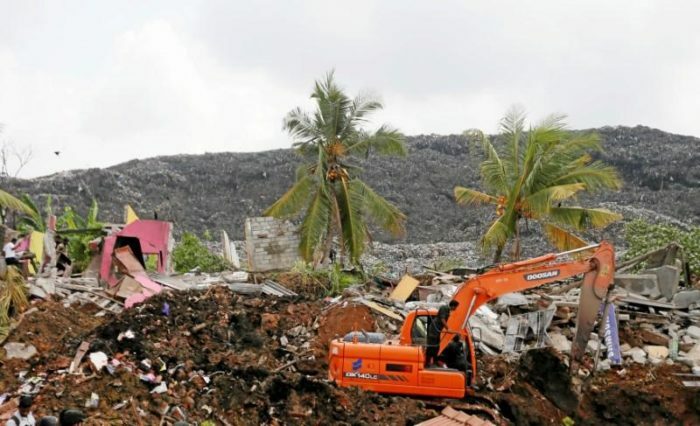 Four children were among the dead following Friday’s incident at Kolonnawa on the northeastern edge of the capital, Colombo national hospital spokeswoman Pushpa Soysa said. Report says Sri Lanka is also facing its worst ever dengue epidemic with over 225 patients killed and over 80,000 infected.